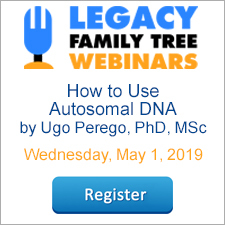 Tuesday's Tips provide brief how-to's to help you learn to use the Legacy Family Tree software with new tricks and techniques. You can print blank Individual Reports, Family Group Reports, and Pedigree Chart Reports which are great to pass out at family gatherings. I have learned things this way that opened doors for new research. Go to Reports > Family Group. As soon as it opens you will see the Blank Report button. You can also click the Pedigree or Individual tab at the top to get to their blank reports. When you click the Blank Report button on the Family Group Report you will get a dialog box where you can customize the report before you Preview/Print. When you click the Blank Report button for either the Pedigree or Individual Chart Report you will not see a separate dialog box with options. It will go straight to the Print Preview. You can set the number of generations you want to see on the Pedigree Chart Report by using the same option that you would use if you were printing a regular report. You can also save these as PDFs and email them to your family members. I have found most people are pretty cooperative when you ask them to help you put together the family tree. I always like to offer them a printout after I get everything entered which they usually appreciate. Don't forget to source the information when you enter it into Legacy. We have SourceWriter templates for Family Group Sheets and for Pedigree Charts. Find tech tips every day in the Facebook Legacy User Group. The group is free and is available to anyone with a Facebook account. For video tech tips check out the Legacy Quick Tips page. These short videos will make it easy for you to learn all sort of fun and interesting ways to look at your genealogy research. 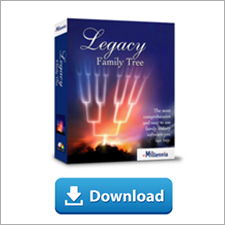 Michele Simmons Lewis, CG® is part of the Legacy Family Tree team at MyHeritage. She handles the enhancement suggestions that come in from our users as well as writing for Legacy News. You can usually find her hanging out on the Legacy User Group Facebook page answering questions and posting tips.